Lockouts, burglaries and broken keys are all good reasons for calling an emergency locksmith in Aurora, ON. When you call our company, we guarantee the fast response of the nearest pro to your location. Since we are a 24 hour locksmith company, we can help you with your urgent issues around the clock. All the same, Payless Locksmith Aurora goes the extra mile to help you avoid such trouble. The main concern with locks and keys is intrusions. 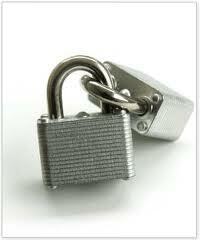 With our assistance, you get the right systems and are sure of the proper installation of any lock. From securing the main entrance of your home to offering access control in your business and handling car key issues, our local locksmith company in Aurora, Ontario, can do anything for you. 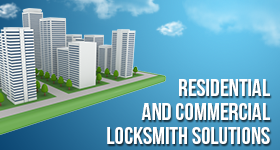 There are all sorts of things a professional residential locksmith can do for you. From replacing the cabinet and privacy locks to installing new mechanical or digital high security locks, an expert can ensure security. Call us. We can make arrangements of any home locksmith service. Need to change the mailbox lock? Need to extract the broken house key? Want to install a deadbolt? Contact us. Get in touch with us should you need a commercial locksmith to assist you. A pro can help you increase the level of the security whether you own an office or store. We can arrange the installation or expansion of master key systems, lock rekeying, or repairs. A locksmith can be there to fix the panic bar, repair the door closer, replace a key, or install a digital lock. Turn to us for local auto locksmith services. Whatever you need, we can arrange. A pro can help you urgently when the car keys are either lost or broken. Experienced with most car makes and years, the techs can handle any challenge and fix any problem either with the locks or keys. You can call us for trunk opening, ignition repair or transponder key programming. We are the Aurora locksmith you can trust for any service and count on 24/7. We can help you increase security and will handle any emergency in a timely fashion. Get in touch with our locksmith today.